Shikhar Dhawan shared the photo on Twitter with Virat And Pujara. 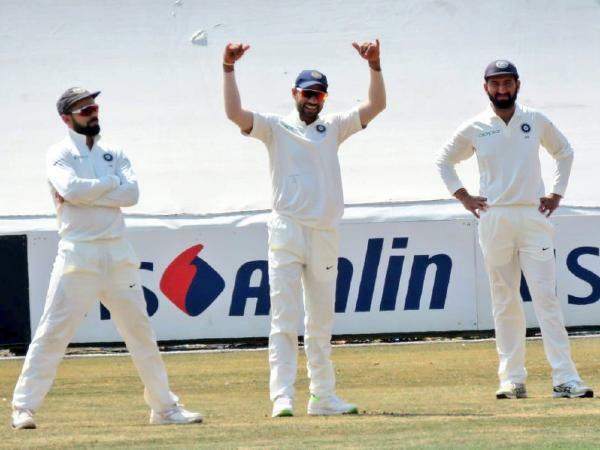 Indian team opener failed to impress the fans on the opportunity provided to him during the practise match against Essex as he bagged a pair of ducks in both the innings of the game. In the first innings, he was out on the first ball edging the ball to the wicket keeper and unfortunately in the second innings, he lasted for just three balls before being bowled. So in short, Dhawan played just four balls in the game, which is surely not an ideal preparation for him going into five-match Test series, however, during the match the teammates had quite a funny moment. Though, he got trolled for his bad performance in the match and the caption he gave as Twitterati questioned his performence. Here are some tweets trolling Dhawan. After Dhawan's poor show in both the innings, the pressure is on the skipper Kohli to choose from Dhawan and KL Rahul. On past occasions on overseas tours, it has been Dhawan who has got preference over KL Rahul, so we have to wait and watch. On the tour of South Africa as well, it was Dhawan who played the first test and third test.